Fig. 1. 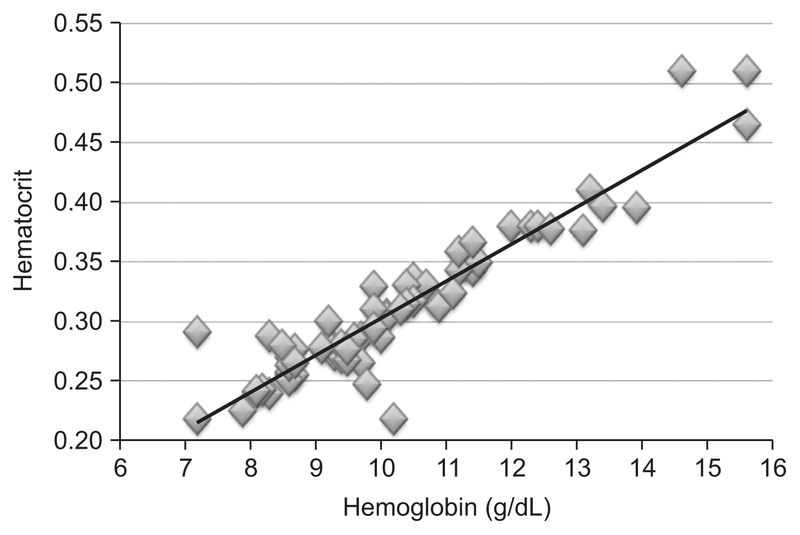 Scatter plot of hemoglobin versus hematocrit at day 1.